Eighty-seven percent of black voters are obsessed with race. …When it comes to the specifics of the president, however, a racial divide is evident. Eighty-seven percent (87%) of black voters believe those who oppose Obama’s policies do so because of racism. 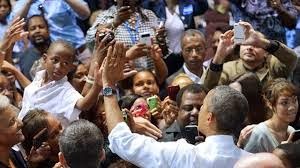 Sixty-seven percent (67%) of whites and 56% of other minority voters think instead that opposition is primarily because they believe the president’s policies are bad. Among all voters, 59% think people who oppose Obama’s policies do so because they don’t like those policies. Thirty-one percent (31%) believe their opposition is due to racism, but that’s up from 28% in mid-July and up 13 points from 18% in October 2011.